When it comes to spousal property division on death within the Canadian context, many different laws govern. Under constitutional law, property rights fall within provincial and territorial jurisdiction, and with ten provinces and three territories that means thirteen different jurisdictions, each with their own unique laws to govern what happens on death. What is interesting but also perplexing is how much these laws differ from each other, and as a result, how moving to a different Canadian jurisdiction can significantly impact rights on death arising out of marriage or a common law relationship. It is an issue that is not on the radar when a decision is made to move to a different Canadian jurisdiction, whether because of a new job, for retirement, or to be closer to family. While all provinces and territories have some scheme of statutory property division on marital breakdown, surprisingly death is not a triggering event for a property claim in all Canadian jurisdictions. Of those that do permit a claim to be made on death, some limit the claim to legally married spouses only, while others extend the claim to non-married cohabiting spouses provided that certain requirements are met. In British Columbia, Alberta, Prince Edward Island and Yukon, death does not trigger a right to make a statutory property claim. This leads to the anomalous result that you have better rights on a marriage breakdown in those provinces than when your spouse dies. In Ontario, New Brunswick, and Newfoundland and Labrador, statutory property division claims on the death of a spouse are available to legally married spouses - not to common law spouses. In Ontario, the claim is known as a claim for equalization of net family property. In Quebec, these claims are extended to both legally married surviving spouses and the survivor of couples who have a civil union. In Saskatchewan, Northwest Territories and Nunavut, statutory claims for property division on death are extended to non-married cohabiting partners who meet certain requirements. There is the ability to file a declaration in Nova Scotia or register a common law relationship in Manitoba which can extend the right to property division on death. A couple that moves from Toronto to Calgary will find that on the death of the first spouse the surviving spouse does not have the right to equalization of property that he or she enjoyed in Ontario. And conversely, the common law couple who live in Vancouver who did not have any statutory rights to property division if one of them died who then move to Saskatoon will find the surviving partner gaining additional rights that both may never have anticipated. In a prior blog post For Better or For Worse.....Especially if You Move we pointed out how an international move to a different country, including civil law countries with a community of property regime, can unexpectedly change rights arising from marriage. But within our own country as well, it can be "for richer or for poorer" when it comes to matrimonial property division on death. What is the solution to meeting the challenges of these different laws? In general, a marriage contract or cohabitation agreement can address rights to property division on death. Few couples, however, consider the impact of a change in residence on rights on death in conjunction with a move. As with any move to another jurisdiction, a 360 degree review of all legal consequences including on one's estate plan with the assistance of an experienced legal advisor is key - including that move down the TransCanada legal highway. Margaret has been an expert columnist for Advisor.ca and Advisor's Edge magazine since 2011. You may read her columns here. Careful estate planning requires both practical skill and broad knowledge of various legal issues. Examines essential topics, and gain tools and strategies for developing a successful estate planning practice. 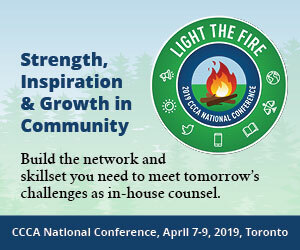 Attend to hear seasoned practitioners share their expertise on client intake and retainer issues, conducting effective interviews, drafting skills, protecting your file, as well as practice and career management.